It's National Work-From-Home Week, and we're celebrating with a Logitech Giveaway! 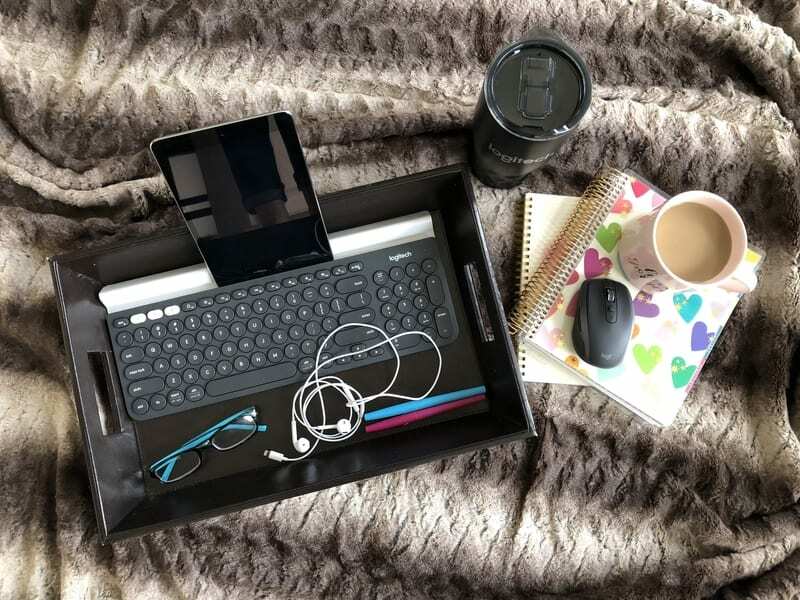 You already know that I'm a HUGE fan of working from home, but, did you know, that working from home can lead to increased productivity, improved employee morale, higher retention rates, and lots more!? In fact, according to Global Workplace Analytics, participants in last year's Global Work-From-Home Week saved more than 60,000 kg of CO2 by working at home. 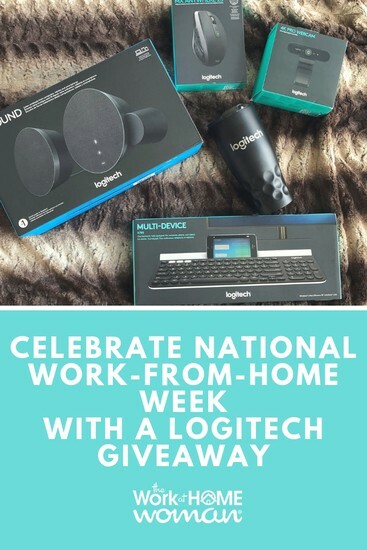 Tomorrow, Wednesday, October 10th, Logitech is recognizing National Work-From-Home Week by encouraging its team members and partner companies around the world to work-from-home; how cool is that?! Let me tell you–you're going to LOVE this product pack! I've been using the wireless keyword with my iPhone and iPad to type up emails and write blog posts, so much easier than lugging my laptop all around. I can't wait to use the webcam to record some new YouTube videos! It's high-def and comes with a built-in HDR and RightLight™ 3 so you'll look great in any lighting. It's also great for virtual meetings and interviews and can clip on to your laptop or your tripod. Did I mention that my daughter and hubby have been eyeing the wireless mouse and Bluetooth speakers?! I have a feeling they'll soon be missing from my office. If you'd like to WIN this fantastic prize pack from Logitech, use the Rafflecopter widget below to enter. This giveaway is open to US and Canadian residents 18 years and older. Don't forget to tell your friends–this giveaway ends October 22nd at 11:59 pm CT. Good luck! I am excited about the MX Sound speakers. I’m excited over all of it, but the speaker has my heart since I’m a singer.. I’m constantly on the lookout for sound quality. I would love the keyboard! Great prize pack! So cool!! Excited to see this webcam!! Such an interesting way to celebrate the national work from home week. I actually had no idea about this. I’ll share this with our community of work at home moms, so they can participate. Thank you! I’m excited about the speaker. I like the wireless keyboard.